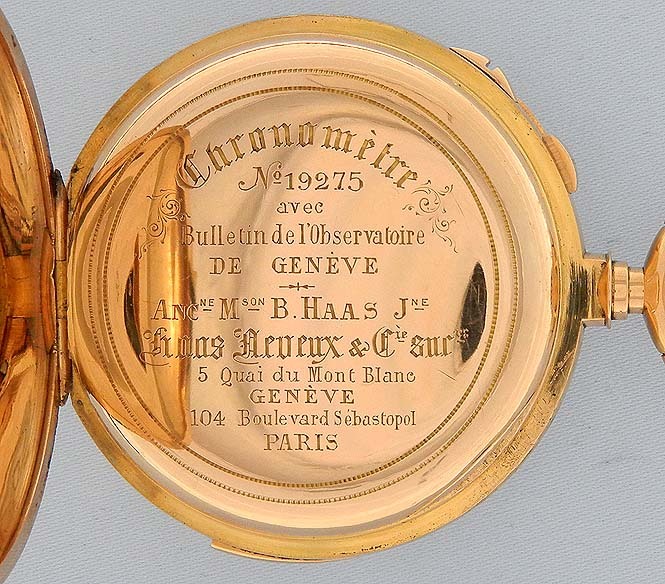 Very fine and very rare Haas Neveux 18K gold minute repeater split second chronograph with register and with an observatory certificate circa 1903. 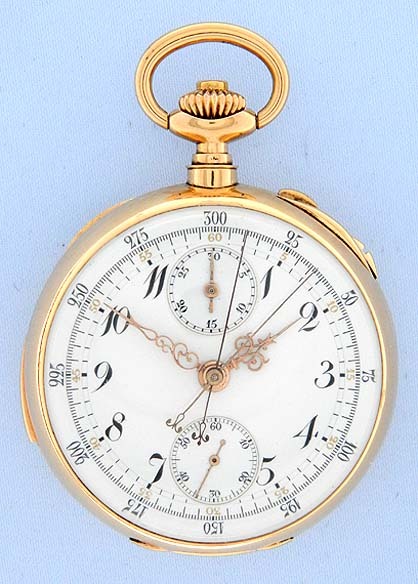 Fine white enamel dial with gold and black markings and gold hands. 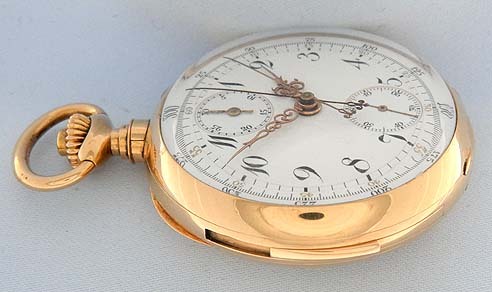 Heavy gold case with one chronograph button in the crown and the second button and repeat slide in the case band. 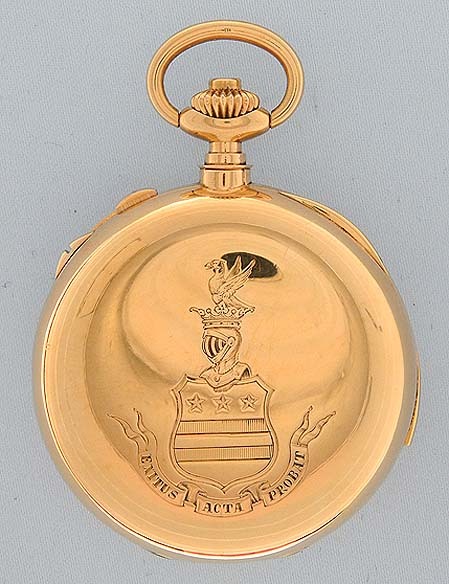 The dust cover engraved with observatory details. 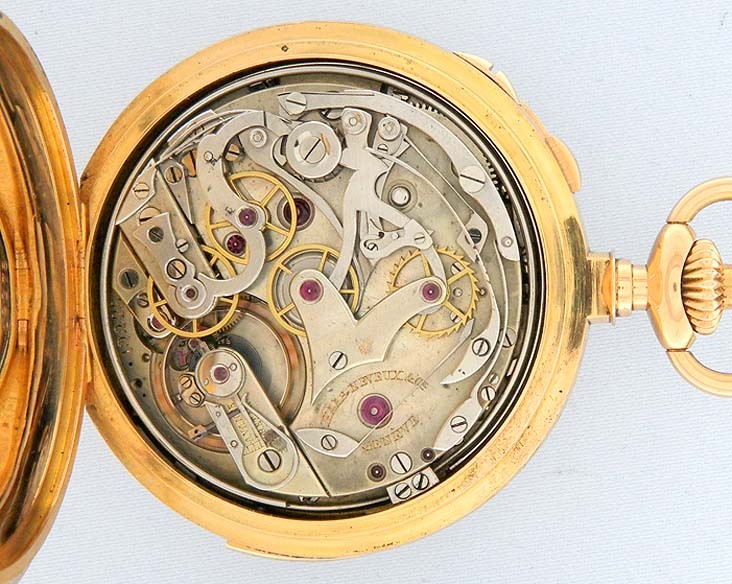 High grade 32 jewel nickel movement. When activated this watch chimes the time to the nearest minute with loud clear tones. This watch is also able to time two events. This watch is very high quality, as one would expect from Haas Neveux. 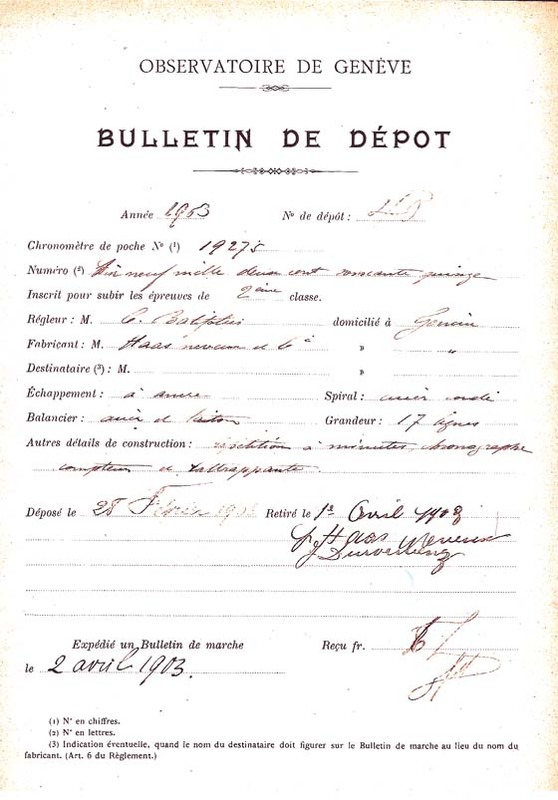 All of the added complications have an adverse effect on timekeeping and therefore watches like this one are rarely submitted for observatory trials. This watch is very rare because it combines numerous complications with high precision timekeeping.